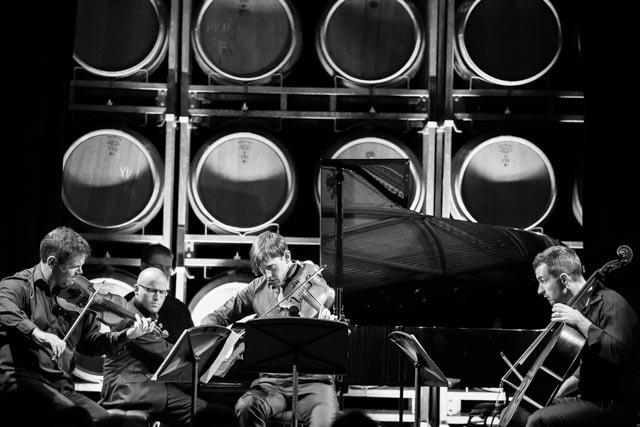 Sanguine Estate Music Festival (SEMF), now established as one of Australia’s leading chamber music festivals, is held over two weekends in Bendigo and Heathcote. Sanguine Estate Music Festival (SEMF), now established as one of Australia’s leading chamber music festivals, is held over two weekends in Bendigo and Heathcote. It brings together world class musicians for electrifying performances in the intimate venues of Heathcote and Bendigo. The festival has established itself based on the quality of programming and artists that it presents, showcasing the natural beauty of the region to a national audience. At the heart of the festival are two very special elements – the artistry and those who attend. How are you going to maintain this quality of artists? How are going to make sure the festival continues, forever, without increasing the ticket prices? By supporting a Chair (either individually or as a syndicate) you are not only supporting the artist but also enabling Howard and Chris to continue ensuring the magic. By supporting a Chair (either individually or as a syndicate) you are not only supporting the artist but also enabling Howard and Chris to continue ensuring the magic. You will be also enabling us to take these world class artists to the schools of Bendigo. Sanguine Estate Music Festival is held in Bendigo and Heathcote in February of each year.